In the event of a sudden cardiac arrest, CPR is one of the integral first steps that mean the difference between life and death. Here is why it is important to become certified. Think of the response to cardiac arrest as a chain. The first link in the chain is to call 911. 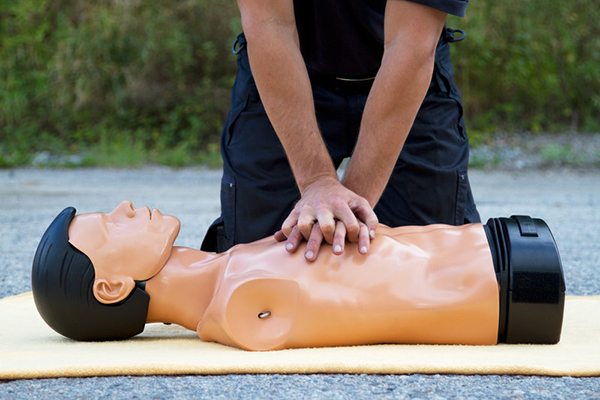 While personnel is on its way, the administering of CPR keeps blood flowing to the heart, oxygenating the body. By doing this until paramedics arrive to use a defibrillator, you increase the chance that the victim will not suffer brain damage or worse, die. When you call 911, the operator will instruct you on how to apply chest compressions. But if you’re already certified, you allow yourself precious minutes to keep the blood flowing. At The Heart Center, we understand the importance of quality CPR training. Certification is not just essential to the home but to the workplace, as well. If you’re interested in having your team or staff become CPR-certified, we can help.